TIGER NUT (CYPERUS ESCULENTUS): SOURCE OF NATURAL ANTICANCER DRUG? BRIEF REVIEW OF EXISTING LITERATURE. You are at:Home»Embj»TIGER NUT (CYPERUS ESCULENTUS): SOURCE OF NATURAL ANTICANCER DRUG? BRIEF REVIEW OF EXISTING LITERATURE. In some parts of the world, Cyperus esculentus L. is widely used as a healthy food for both humans and animals due to their nutritional and functional properties. Current research and reviews on this plant have focused mainly on organoleptic properties, phytochemical compositions, oil content, biochemical activities, and nutritional values. 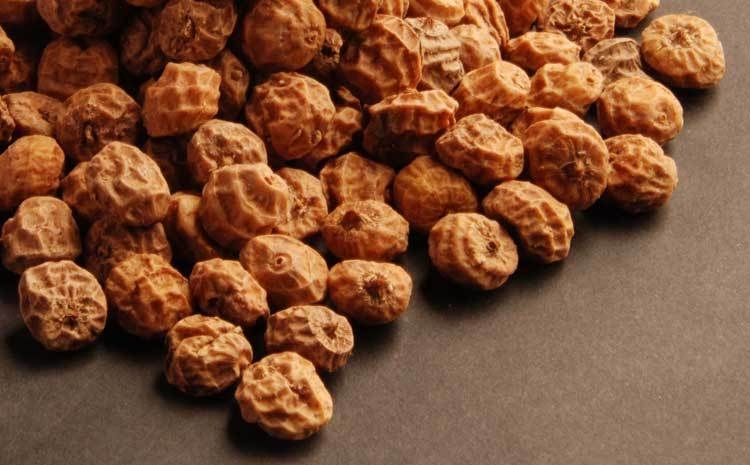 The medicinal properties of Tiger nut are seldom discussed, although its medicinal use is well known in folklore activities. To explore the medicinal properties of Tiger nut, this review tries to investigate the potential anticancer properties of components issued from Tiger nut by reviewing the existing literature in the field. Based on the evidence from the review, it is recommended that there is a need for further investigation into the proposed anticancer properties of Tiger nut.